I didn’t get a whole lot done this week as far as my stuff goes. 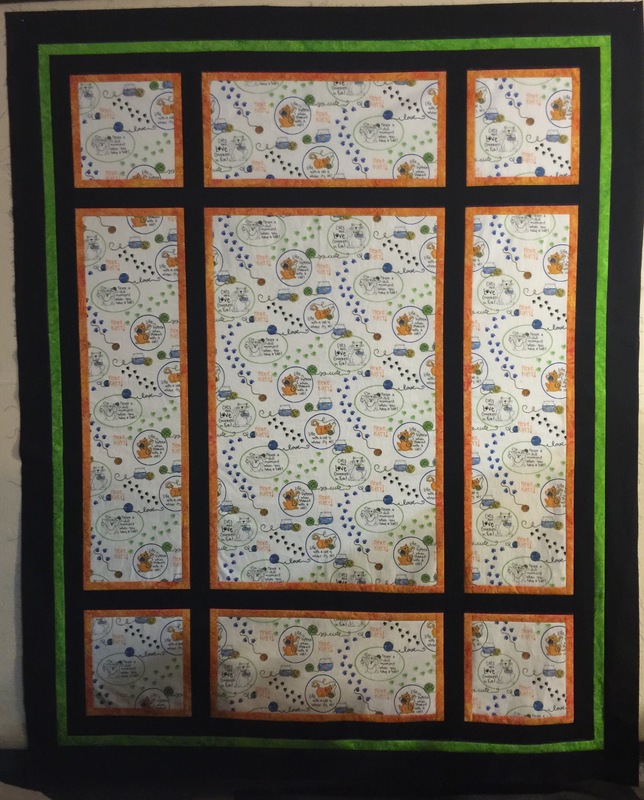 I did manage to find time to get the rest of the borders sewn onto the Novelty Fun quilt I had on my wall last week. 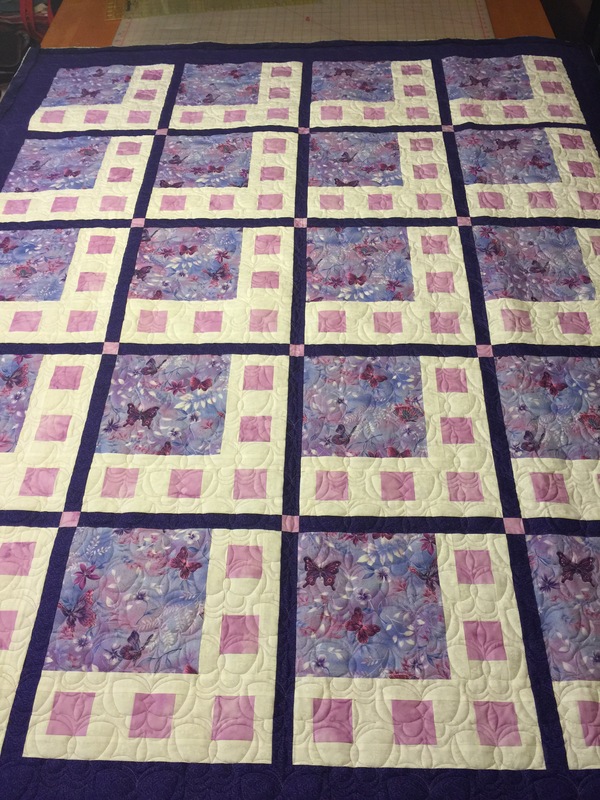 Speaking of quilting, I was caught up on customer pantograph quilts, so I put my butterfly Cinema quilt top on the machine and got it quilted.